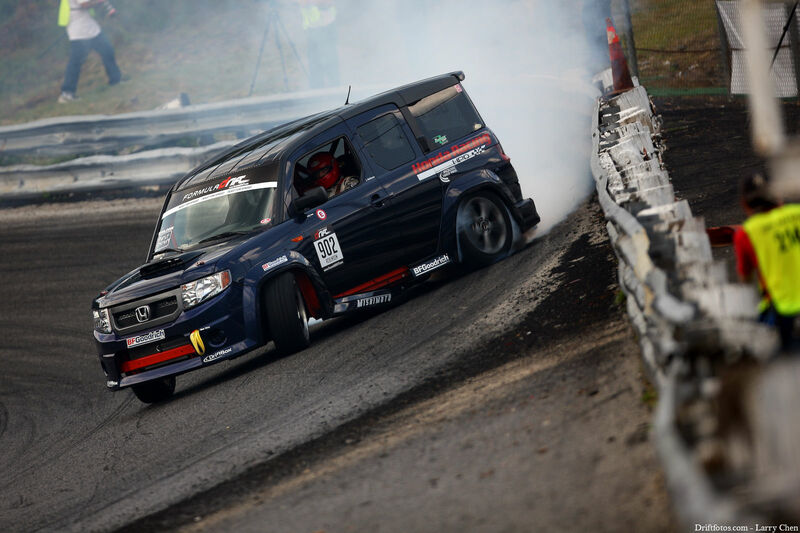 The notoriously rough third round of the Formula-D drifting series began on June 3 with all-day practice at the Wall Speedway. First opening in 1950, the track lives up to its moniker as the "Gauntlet," with 1 6-degree banking along the straightaway and 30 degrees on the turns. Robinson, had excellent results from the first day of practice despite the high track temperature and excessively rough surface. "We were prepared for the next day of qualifying after 14 practice runs on the banked oval, and had high prospects for making top 32," stated Robinson, "but unfortunately, we were not able to put together a clean qualifying run on Friday." 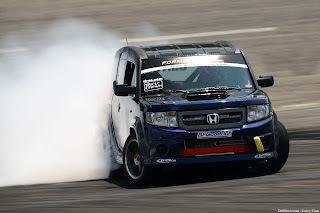 With the next event for the Team Honda Research Element-D scheduled in late August, there is significant time to increase the agility and competitiveness of the unique drifting platform. Said Robinson, "We're planning on significantly reducing the weight of the chassis in preparation for our next round. Our key focus for this year is to gain as much experience in this racing series as we can to further enhance Honda's presence in drifting for 2011." 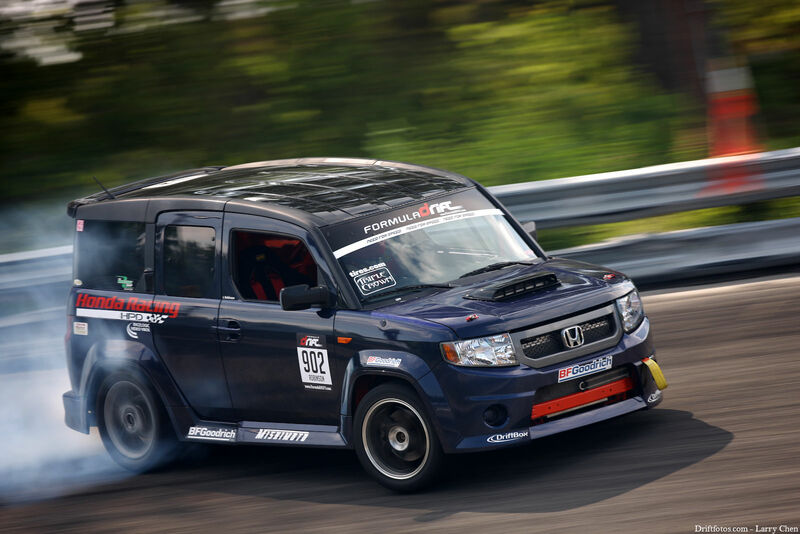 Next up for Formula-D competitors will be Round 4 in the seven event championship, the July 9-10 "Throwdown" at the Evergreen Speedway in Monroe, Washington. Follow Honda Performance Development and the Element-D as they continue their inaugural season at Round 5 in Las Vegas on August 20-21!